The Martini Mate garnish bowl by Prodyne is great for entertaining. The bowl has three compartments and the six picks each have a different color martini glass as a handle. The acrylic construction means the bowl is shatter proof and break resistant. 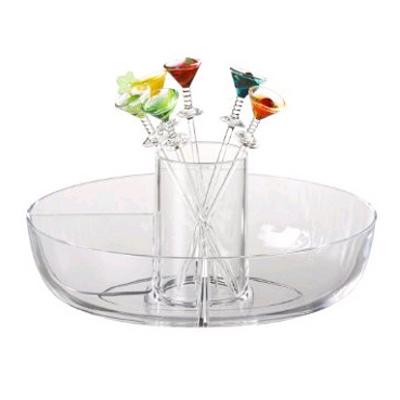 Treat your guests with this colorful and useful garnish bowl.